O&O Syspectr gives you a complete overview of your entire Windows infrastructure. With an easy to use web application, you can track all the events in real time. You will be notified immediately over your dashboard or by e-mail when something strange happens. O&O Syspectr gives you a comprehensive overview of your Windows infrastructure. 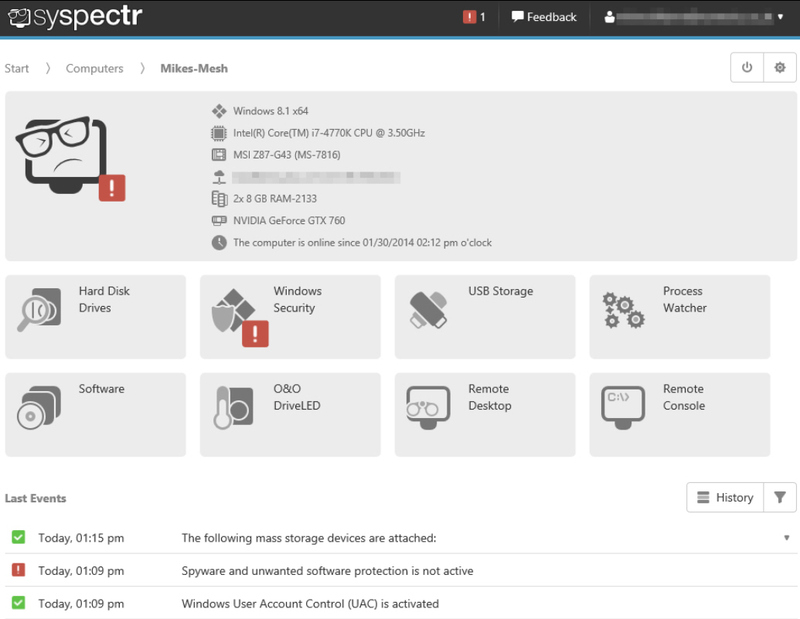 It also lets you take a closer look because O&O Syspectr displays all relevant system information whenever you want to see it: hardware, software, level of usage and general condition of all hard disks, status of connections as well as internal and external IP addresses just to name a few.